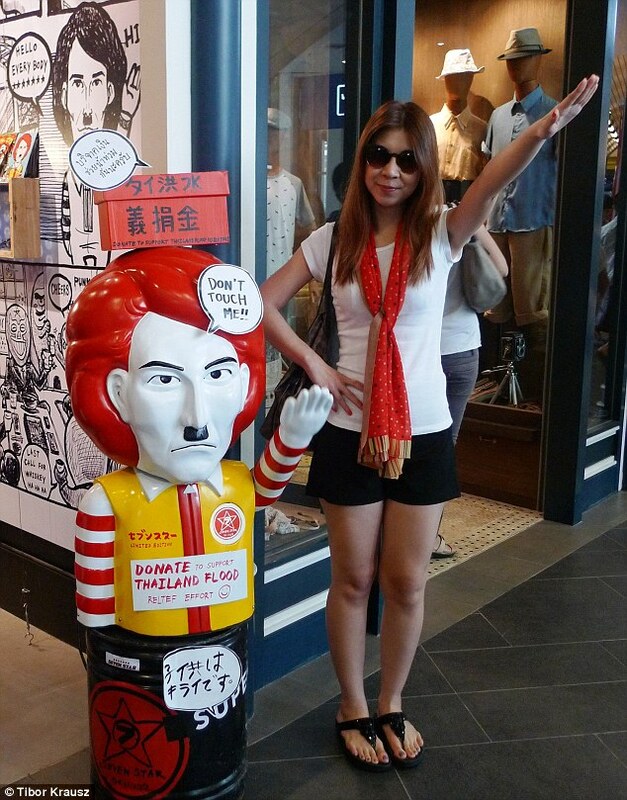 I am an East Asian National Socialist and a staunch and ardent advocate for, and supporter of, National Socialism and White Nationalism. In my forty years of life, I have been abroad three times, but I have never traveled to an English-speaking country or any of the European countries, at least so far. In writing about my ideological and intellectual journey, it’s actually hard to pinpoint a specific entry point, be it a book, a Website, or something else pertaining to Adolf Hitler and National Socialism, Aryan Nationalism, or the Jewish question, from my decades of learning experiences. I would thus like to offer a couple of anecdotal clues from my recollections. Thus, in spite of the disparaging and denigrating official propaganda which accompanies anything related to Hitler and National Socialism, those sharp and striking images of power, order, neatness, and sheer aesthetic beauty had left a deep and indelible impression on my mind as a juvenile, and would unfailingly continue to impress and inspire me for years to come. This also raised a very natural and compelling question in response to the negative official propaganda in my young heart: how could that person, as well as his political system and ideological worldview, which are always depicted in terms of such unalloyed and absolute evil, produce such unrivaled might, magnificence ,and magnetism, perfectly in tune with the forces of nature and life and exuding such a mythically and unfathomably irresistible, visceral, enduring, and transcendental appeal to me as an ordinary, foreign youth, possessing an innocent and unbiased mind? If Hitler was as evil and wretched as the propaganda kept telling us, how could such a healthy, inspiring force, and the sublime beauty embodied by and infusing his ideas and persona, ever have been possible in the first place? I went to college and mastered the English language, which I found to be a highly effective tool for discovering and learning about hidden historical truths. Guided by my earlier fondness for and attraction to Hitler and his splendid world-historical achievements, I began to read everything I could get my hands on, either in print form or on the Internet, about the political, economic, cultural, ideological, and philosophical ideals and ideas of Hitler and his National Socialism. I searched and read voraciously and tirelessly, and found a brand new horizon opening up before me, one which offered literally endless metaphysical treasures to explore and contemplate, to savor and appreciate. I discovered the hidden truths about Hitler concerning his noble character and moral compass. I likewise studied his ideology of justice and selflessness, his reasonable and efficient policies, and the righteous, courageous, and glorious revolution that he fomented. This led to me to investigate the rationale behind the outbreak of the Second World War, which in turn took me to the unabashed, unadulterated, and undeniable evilness of international Jewry, headed by the Rothschilds and their vicious, parasitic tentacles, and of their long and criminal history of usury, manipulation, exploitation, and enslavement. I learned of their subversion, predation, degradation, perversion, and corruption of the Western nations and their people through Communism, Jewish-Bolshevism, and plutocratic financial capitalism (two sides of the same coin), and of the moral bankruptcy, shabbiness, turpitude, and iniquity of the Allies. I also realized that their leaders, especially Churchill and Roosevelt, had acted as puppets and proxies of the Jews, and that this had led to their morally reprehensible and utterly indefensible, heinous, monstrous, and atrocious treatment of Germany and the German people. Unfortunately, for about a decade, from the age of 23 until I was 33, I had fallen for the American Republican Party’s version of mainstream conservatism and its flag-wavers before coming to my full awakening and subsequent realization of their follies and fallacies, their spuriousness and spinelessness, their sham and deceit, and their abject kowtowing to and shilling for Jewry and, to a lesser degree, other wicked and rich oligarchies. They struck the pose of patriotism and acted against some petty foreign dictatorships which they viewed as potential rivals, or as adversaries of democracy and freedom. All the while, however, they themselves systematically aided and abetted far more hideous, dangerous, and tyrannical powers worldwide in political, economic, and military terms, to the peril of America’s own national security. They gleefully sold out America’s White middle and working classes to globalist and oligarchic interests, and hollowed out America’s once-mighty industrial base with no moral compunction whatsoever, merely to fatten their own bellies. They sacrificed the same White middle and working classes on the altar of borderless globalism and mindless consumerism. Their pandering to and enabling of hostile and aggressive alien forces, both domestic and foreign, which accompanied their growing menace to the free and civilized nations, was utterly perfidious and outrageous, worthy of the largest measure of moral indignation and condemnation. The list of their treasons and treacheries goes on endlessly. Shame on those immoral liars and specious, self-serving charlatans whose cowardice, dishonesty, venality, and duplicity surely know no bounds! Compare this with the moral integrity and rectitude of Hitler, the giant. They are all pathetic, despicable pygmies and clowns. Thus I became a convinced National Socialist and self-described Hitlerite – warts and all – and have remained so proudly, with a clear conscience and sense of honor.